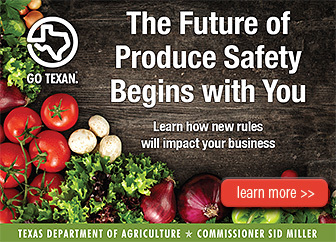 Texas Restaurant Supply - News! Private Label products need analysis of the current industry. The overall restaurant industry figures are in. According to the graphic above, food service products will surpass $798 billion in sales in 2017. This is incredible. Figures don't lie, and knowing that the industry has sustained seven straight years of growth, and has consistently outperformed other sectors in the U.S. economy over that time means it is a very stable opportunity. This strength and stability of the overall market make it an ideal climate for innovation and growth. Thisfoodservice industry market is vast and filled with opportunity for companies like you who want to produce private label products. Operators make more than $200B in food and beverage purchases and there are well over 1.2 million restaurant locations here in the USA making these purchases. If you multiply that by the influences that have a say in the everyday decisions on food and beverage, technology, equipment, the opportunities are endless! So as a food company, or manufacturer of food/beverage products, the question is what can you do to get your products into the foodservice industry? Distribution Channels – This huge foodservice industry is made up of various channels that prepare food and sell ready-to-eat food items, meals and snacks. More than just restaurants in fine-dining and fast casual; they make up a huge portion of the overall market. It will also include hospitality businesses, hotels, bars, schools, catering companies, airlines, sports venues, just to name a few. If your company is interested in working with large chains, emerging growth chains, multi-concepts, high-volume independents or onsite establishments, it’s important to know the channel where your products best fit in. Awareness is critical as you need to know how those companies prefer to do business. For instance do they buy products direct or through distribution, or do they only work locally, or on a large scale? It will be important that you know about the foodservice channel you are targeting, the better you can demonstrate how your products can be valuable to them and the more likely they are to do business with you. Product Portions – Volume is key to foodservice buyers. Larger establishments require higher quantities of products and you need to be able to provide your products in larger portions. Even smaller establishments must be able to scale food products to work within their recipes and menu selections. The foodservice channel you are trying to get into does require product volume requirements. Product Packaging – There are many food companies with products in retail establishments such as large supermarkets, local grocery stores, or in wholesale outlets. Please note that products on retail shelves are packaged very differently than those in foodservice establishments. In fact, packaging in foodservices is all about convenience and stability and not so much about labeling and how it looks. Many foodservice items come in bags or with easy-to-use features like pour spouts, stackables, or quick-grab handles just to name a few. Your packaging doesn’t have to look good, but it does have to be as functional as possible in a foodservice environment. Price Points – Are you aware of price sensitivities in your market? Profit margins can be lower, but volume is greater. Be aware of nationwide consumer trends. It is highly likely that this understanding can influence decisions on menu pricing at restaurants, which creates a trickle-down factor for food buyers. Understanding the current spending trends across different demographic groups affect how restaurants might account for that in pricing strategies. Factors like location, consistency and timing are factors that foodservice operators are aware of and knowing their challenges will help you set pricing for your products. Product Branding & Awareness – Staying top of those involved in the foodservice industry is critical especially if you are targeting large chains, emerging growth chains, multi-concepts, high-volume independents and onsite establishments. Buyers and influencers in these channels span marketing, operations, technology, culinary, finance franchise, supply chain, human resources and foodservice directors across the board. This is where target-specific marketing, might be your most effective route to getting your products into the mix. When you place print or online ads in a target-specific brand, you are marketing directly to a specific target audience rather than a general one. Zeroing in on a market niche that is engaged and interested in the type of product or service you’re offering is the best way to gain visibility and awareness of your products. Thank you for your visit to Texas Restaurant Equipment Supply today. Finding out about what is going on in the foodservice industry is what Texas Restaurant Equipment is all about. To find out more about the foodservice industry and food retail, we invite you to consider Restaurant News as a source of what's going on in the industry. As a trusted authority on foodservice and food retail, our network of brands can effectively reach the restaurant, noncommercial foodservice and food retail industry. Nation’s Restaurant News is the preeminent foodservice brand and boasts the most trafficked website in all of foodservice. Restaurant Hospitality is the premier resource dedicated to the success of the professional restaurateur. Food Management has the largest audience for the noncommercial/onsite foodservice community. And Supermarket News is the brand food retail professions count on for the intelligence they need to make smart business decisions. Are You Selling Vegetable From Your Garden? The Big Brew Ha Ha Ha?
. We had a long day ahead, and needed a boost for the road. So we stopped for a cup of coffee. We had to wait a few minutes for that cup of joe. Why? It was ready right away, as the girl brought it to the take out pay window to us, but since the people ahead of us in the to go line had to wait on their order to be prepared; and since there was no way to remove our vehicle from the line till they received theirs, we had a few minutes to think about how they could make their customer service better in serving up that better cup of Joe. We were in a hurry right? Coffee is is everywhere. Not too long ago you could say that the coffeeshop was that little place down the street where you could get a 50-cent cup of joe to go with your morning eggs or midday patty melt. Today, in most cities the local Starbucks stores and McD’s have an all-day breakfast menu that includes coffee. Coffee’s an all-day drink too, and keeping it fresh all day matters—a lot. As customers we want it fresh. Did You Realize? Having a coffeeshop on every corner has fueled the demand for coffee. Most consumers now have a taste for or a decision to purchase a wide variety of specialty coffees and different roasts. Now, your regular customer asks for a cup of coffee that has to be good, no matter when it’s served, and it must be hot. Maybe you need a special blend for your location. 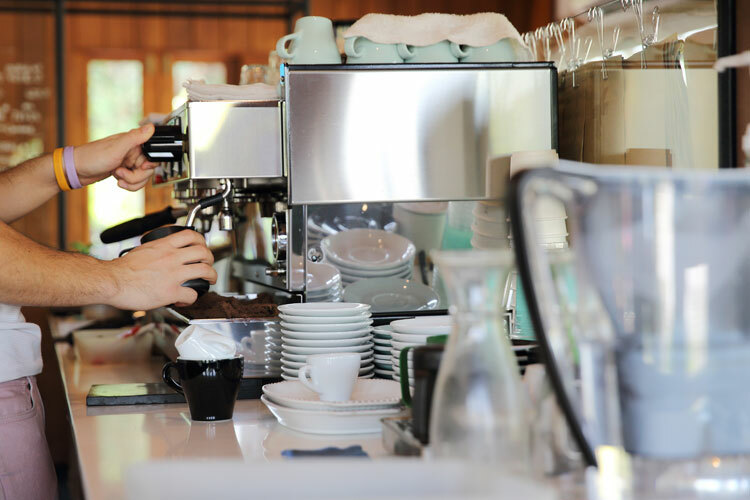 If you are a restaurant, you may keep a four-burner brewer with three carafes of coffee ready and one with decaf at all times. But that may not be enough in today's discerning market. Everyone wants immediate service for that special brew, and they expect you to keep up with the crowds. That may mean you need something a little larger and more robust to keep up with the crowds as well as their expectations in your facilities. Volume does matter. If your needs include a Super high-volume operations capability, such as hospitals, hotels and banquet halls may have big urn systems in the back-of-house; your needs may vary. But for medium to high-volume coffee consumption there are a large number of brewers on the market that brew anywhere from one to three gallons per batch, and anywhere from about eight to 36 gallons per hour. Texas Restaurant Equipment can provide you information and equipment that will help you brew the best coffee, with a product that can meet all your beverage needs. Let's determine what may be important. Can You Adjust The Volume - Volume is a good place to start. By figuring out which system or equipment you need you can increase your patrons. A brewer that produces eight gallons per hour gives you the capacity to sell 128 8-oz. cups per hour. But how often do you serve an 8-oz. cup of coffee? A 12-oz. cup is pretty standard fare these days, which means that same brewer can serve about 85 customers. Do The Math - A 36-gal. capacity brewer may sound like a lot of coffee until you do the math and see that it equals 384 12-oz. servings per hour. Many venues that do that kind of volume—stadium concessions, super-busy coffeeshops, hotel restaurants and college and corporate serveries are out there. Smaller carafe brewers that make a half-gallon at a time—or 1 gal. in a twin brewer—may produce enough coffee to serve your customers, but employees could end up brewing batches more frequently and having to watch carafes on burners to make sure coffee doesn’t sit too long and get scorched. Determine Peak Demand Hours - Correct volume estimates need to be during peak demand. Then if you factor in free refills and customers who want larger servings to go, and you know what percentage of your customers will ask for decaffeinated coffee your ready to consider coffee. Will you offer different coffee blends or roasts at the same time—a house blend and a flavored coffee or perhaps a flavored syrup, expresso or latte? What's popular? You may need extra brewing capacity to fill serving containers with different coffees even if you don’t go through it all during your peak demand. Next Is Brewing Systems - The truth is most systems are different primarily in the degree of sophistication of their controls and the method in which they hold and dispense coffee. In the medium- to high-volume brewer range two hold/serve options predominate—satellite systems and vacuum insulated dispensers. Satellite systems and thermal container servers heated or unheated are your next decision to make. Both have pros and cons and depending on your front and back of the house set up should determine your decision making process here. Seeing how much coffee is left in the thermal server is a quick alert to refill of course. Something’s Brewing - What is important in the coffee brew? Brewing a good cup of coffee depends primarily on the three “Ts”—time, temperature and turbulence. Ideal brewing temperature may vary from one type of coffee and grind to another, but the sweet spot in most cases is in the range of 198°F-202°F. Manufacturers design their spray heads and brew baskets in such a way that the flow of that water through the coffee grounds brews an entire batch in about five minutes. Again, the time may vary depending on the model and the coffee being brewed. Deliver The 3 T's - Consistent delivery, virtually all brewing equipment will feature pre-wetting or pre-infusion, pulse brew, and a variable bypass to control strength. The pre-infusion feature is a timed delay that allows the coffee grounds to “bloom” after an initial wetting. Once the brew cycle begins, brewers use a pulse brew feature to control flow of water into the grounds and create some additional turbulence. The bypass feature allows the brewer to add water directly into the serving container instead of the brew basket, letting you control how strong the coffee tastes.If that makes it sound like brewers are pretty much the same, they are in basic respects. Where they differ from one maker to another, and even one manufacturer’s model to another, is the degree and type of control you have over the brewer and the brewing process. What Will Your Brewing Program Look Like - If you know what you want and have the statistics to back up your decision; that's great. If you are not sure and want some recommendations on products then you have come to the right place. Main Auction Services has both new brewing equipment and used brewing equipment for your review. Vive La Difference! Beverage service is critical to your success. Water, iced tea, hot tea, coffee, cappuccino, juices, and so on are very important to your dining patrons. Supply chain products, like mixes, grinders, types of brewer supplies for replacement are all considerations you need to think about before you purchase your brewers. Also just introduced is a WiFi add-on to thermal servers that let you access information on how much coffee is left in each of your servers and how long it’s been held through an app on your smartphone Really? Yes it's true. Whatever your need, Texas Restaurant Equipment can help. A simple review of products in our weekly auctions is an option, or perhaps a visit to one of our 3 showrooms will be your best bet. The important thing to remember is the quality of your beverage options should never be in question. And, remember water is another issue you need to review. If you live in a city where the water tastes bad, has too many minerals, or is just plain in question for making ice as well, then we have other water treatment equipment options you may need help with. Maintenance contracts, filtration and auto cleaning as well as possible new equipment options out there can be easily discussed. It makes no difference if you have high quality equipment, state of the art technology being that equipment if the end product simply tastes bad due to the water. Whether you need to buy or sell one piece, or the contents of an entire restaurant Texas Restaurant Equipment is your resource for late-model restaurant, bakery and bar equipment. 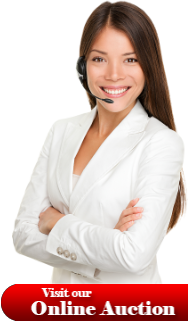 Call today to speak with a restaurant equipment specialists. Is Your POS System Protected? Is Serving Breakfast In 2016 An Option? To Espresso Or Not To Espresso?